There are many movies featuring zombies, the first one appearing in 1932 and continuing to this day. 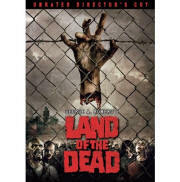 The following compilation of zombie movies is not exhaustive. However, hopefully it's representative of good zombie movies! Please let us know if something is missing or if you have a comment about our taste or lack thereof! White Zombie (1932) - the first Zombie movie!